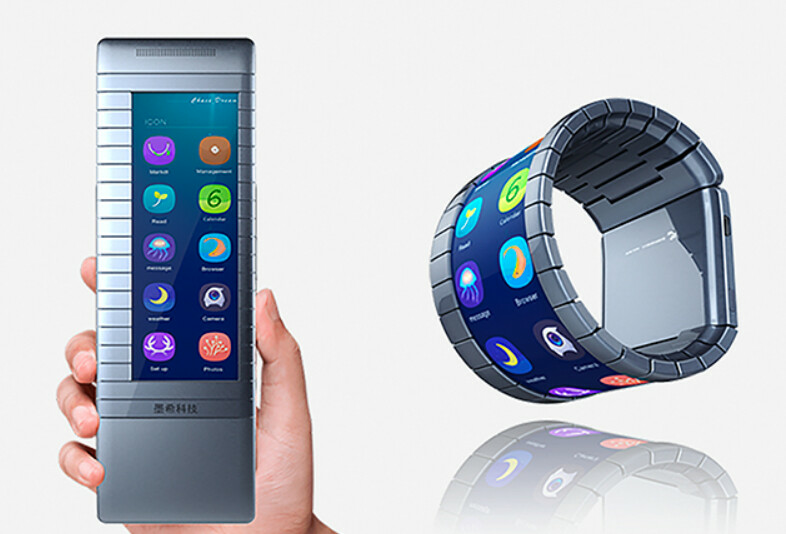 Soon to be unveiled in China is the first truly bendable phone made by a company whose name is written as Moxi. In Chinese, this is pronounced "mou-she." In the language, it is short for the secret behind the phone's flexability. That is the material graphene, which we told you last month "is the thinnest, lightest, strongest, most transparent, and most heat and electricity-conductive material known to scientists." Thanks to graphene, the phone built by Moxi can be worn like a watch or a bracelet, and then stretched out to be shaped like a regular smartphone. There is a caveat. The Moxi built phone will be available this year with a black and white screen; a version with a color screen isn't expected until 2018. As with any stunning new technology, early adopters will be paying through the nose; the phone will be offered for the equivalent of $760 USD in China once it launches this year. A prototype of the unnamed phone has already been built by Moxi. The company hopes to have 100,000 units available for purchase in the Chinese market before the end of the year. With the smartphone business mired in a slow down, something like a bendable form factor could provide the shot in the arm that the industry needs. But we're not even in the first-inning of a nine-inning game when it comes to these handsets. In fact, the national anthem hasn't even played. That's pretty goddamn neat!! Wish I could grab one :D.
I wonder what kind of OS does it have especially since it has two colors . Probably a feature phone and in reality not worth buying except if you are rich and want to give it as a gift or maybe if you want to hold it and let your son sell it after 20/30 years for being the first bendable phone. It is still bold move and someone should had it done, kudos to them. 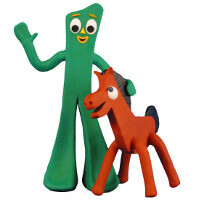 Gumby.... My childhood. Looks more like a fancy landline phone then a cell phone.